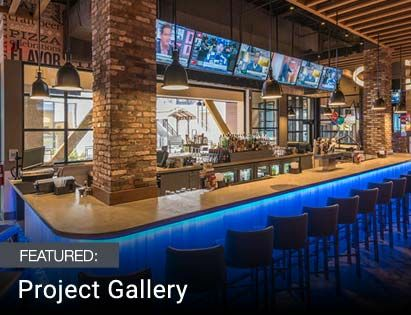 The Trulux LED tape light system from American Lighting is a revolutionary top-to-bottom architectural LED accent lighting solution. With a variety of color options and application targets, it can fit nearly any project. But with all the different options available, making sure you get all the correct components necessary for your project can be a bit overwhelming. 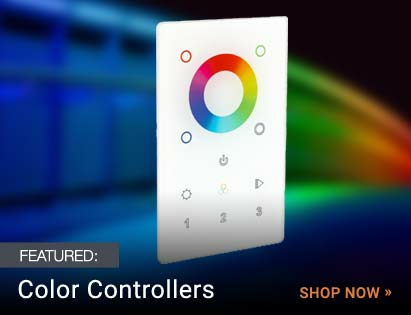 The Controller: Performs dimming and/or color control operations. The Driver: Provides power to the tape light. Driver wattage should be sized according to length of attached run(s). The Receiver: Receives the wireless signal from the controller. 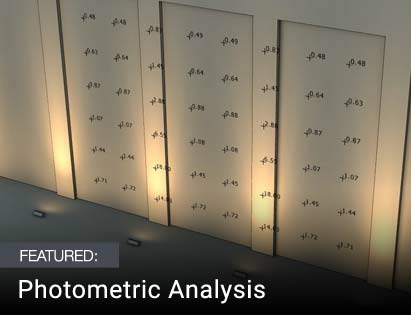 The Tape Light: White, adjustable color temperature white, or color-changing light source. Note: This article does not address DMX layouts, which can be more complicated. Please contact us for assistance with a DMX lighting system. Looking for a simpler installation for a smaller project? Try the convenient all-in-one Trulux Kits! The Trulux single color white LED tape light is controlled wirelessly using a Trulux dimmer. Dimmer must be located within 65 feet of receiver. Some dimmers may require their own input power for operation - refer to product pages and/or manufacturer cut sheets. The Trulux single color white light strip is dimmed using a third-party wired dimmer (such as a Lutron wall dimmer). Refer to cut sheets/instructions for dimmer compatibility. The Trulux tunable white tape light is controlled wirelessly using a Trulux controller. Controller must be located within 65 feet of receiver. Some controllers may require their own input power for operation - refer to product pages and/or manufacturer cut sheets. The Trulux color changing RGB and RGBW tape lights are controlled wirelessly using a Trulux controller. Controller must be located within 65 feet of receiver. Some controllers may require their own input power for operation - refer to product pages and/or manufacturer cut sheets. The Trulux tape light is controlled via an app on your Apple or Android mobile device (smartphone or tablet), which communicates over WiFi to the receiver. The special WiFi Receiver will create its own WiFi network that you connect to in order to control the lights. The Trulux app is a free download from the App Store and Google Play. The Trulux tape light is controlled via an app on your Apple or Android mobile device (smartphone or tablet), which communicates over WiFi to the Trulux Hub. The hub then translates the signal into an RF signal, communicating to the corresponding RF receiver. Hub must be located within 65 feet of receivers. The Trulux app is a free download from the App Store and Google Play.